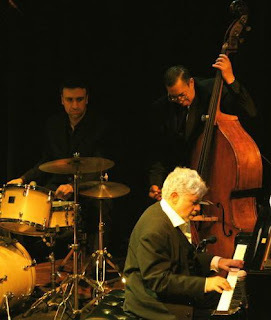 Hi, I'm Looking for the name of the acoustic bass player who played with Monty Alexander in summer 2008 in Jazz à Sète (france). It wasn't Hassen Shakur... maybe you know him. You can find a draw I made here : http://universdaurel.blogspot.com/2008/12/on-avance-on-avance.html (he is in green) Thanks a lot, see you ! Best of luck--when you learn the answer, please come back and post it here. I like your drawings. Thank you! Interesting to learn that Cohen is based in Chicago. I grew up near there and return occasionally--I'll have to check and see if he's playing next time I go.